At US Chimney Corporation, we understand the virtues of a great Chimney Installation. Whether you’re building a brand new chimney, or are looking to restore an older chimney. We’re eager to help you create the most beautiful, effective, and safe chimney for your home. Regardless of the type of chimney you need. You can count on us to present an option for your home, that is watertight, functional, and attractive. And we strive to keep our rates reasonable, without ever skimping on quality. A functional beautiful Chimney Installation is an investment in your home. US Chimney understands how important a chimney is to any home. It not only adds value, but must be installed properly to keep your family safe. 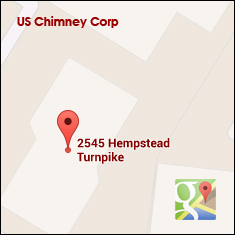 US Chimney Corporation is a family-owned business. We have provided all of Long Island with comprehensive Chimney Installation Services. We have had exceptional customer service for over 15 years. US Chimney Corporation offers a full scope of services, to residents of Long Island, Queens, and Brooklyn New York in need of Chimney Cleaning, maintenance, and Chimney Repair. We employ only highly trained and knowledgeable technicians. We are dedicated to delivering expert cleaning and repairs, as well as unparalleled customer service. Our staff stands behind each of the jobs we complete. US Chimney offers Chimney Cleaning, Chimney Cap Installation, maintenance, and repair services. We believe your search for quality chimney contractors will end with us. We’re committed to completing cleanings and repairs. We effectively meet our customers’ needs the first time around. Follow us on Facebook. Maintaining a clean chimney is a necessity, prevents costly damage repairs and reduces dangerous health & safety hazards. U.S. Chimney routinely provides much-needed chimney sweeping services, guaranteed to remove any built-up creosote found in the interior of your heating system. Creosote will reduce airflow and is highly flammable and can easily cause a chimney fire. Proper ventilation, a solid cleaning, and a working early-CO-detection alarm are your biggest allies when it comes to preventing a carbon monoxide buildup. Contact us for a carbon monoxide test and ensure you and your families’ safety. Furnaces, stoves, ovens, water heaters and blocked chimney vents can all be potential sources of carbon monoxide, or CO.
We are experienced in all Chimney Repair and upgrades on Long Island and the NY area. There are many parts of a chimney than can be damaged including the cap, mortar, bricks, and surrounding shingles. 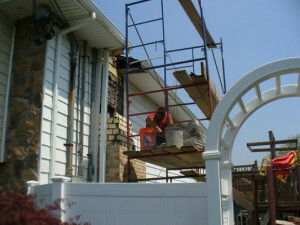 Over time the chimney’s brick work can erode and crack away. This can result in water leaks, down drafts, and safety issues. Our technicians are experts in chimney repair and masonry.